Cancer Research UK says it is standing by its campaign that explicitly links obesity to cancer, after being accused on social media of 'body shaming'. 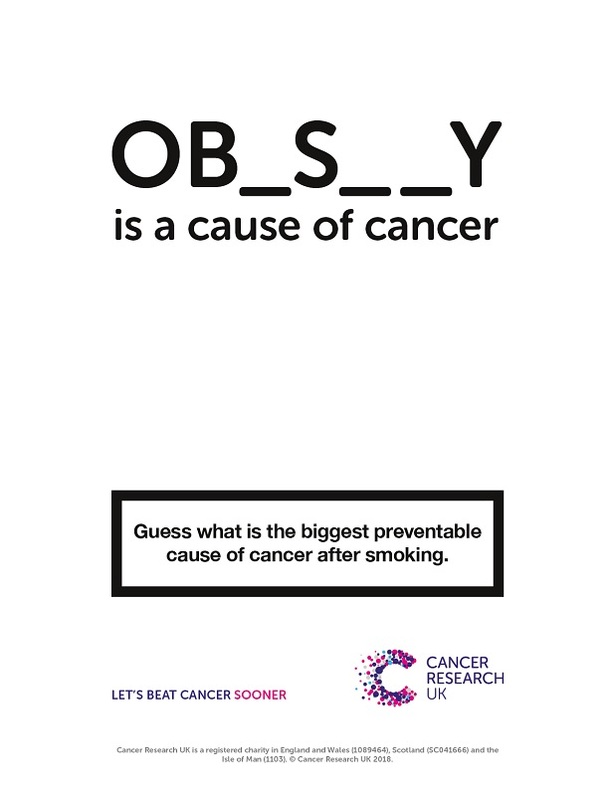 The campaign, which launched on Monday, encouraged people to guess the remaining letters in the word "obesity", when asked to identify the biggest preventable cause of cancer after smoking. The message was also relayed in fake cigarette packets, which were handed out to shoppers, that contained chips (see video below). The creative for the campaign, which is running across radio, social and digital media, as well as poster ads, was developed by ad agency Anomaly. Cancer Research UK said being obese or overweight is linked to 13 different types of cancer, but only 15% of people in the UK are aware of the connection. A pilot ad campaign in the West Midlands highlighting the issue in 2016 increased awareness of the link by 22 percentage points, the charity stated. I'm with you on this. When I became type 2 diabetic nearly all the online 'help' said that obesity was not a cause, but THE cause. I have never been obese, How can you trust the fat shamers? Only in 2018 could people get offended by this. Sofie, this is incredibly insensitive to act like you becoming offended over someone stating a fact is even remotely comparable to being diagnosed with cancer. The naivety and, for lack of other words, idiocy of this tweet is concerning. Love from, a doctor. A spokesperson for Cancer Research UK told Campaign's sister title PRWeek there would be no change to the charity’s plan to campaign around the link between obesity and cancer. 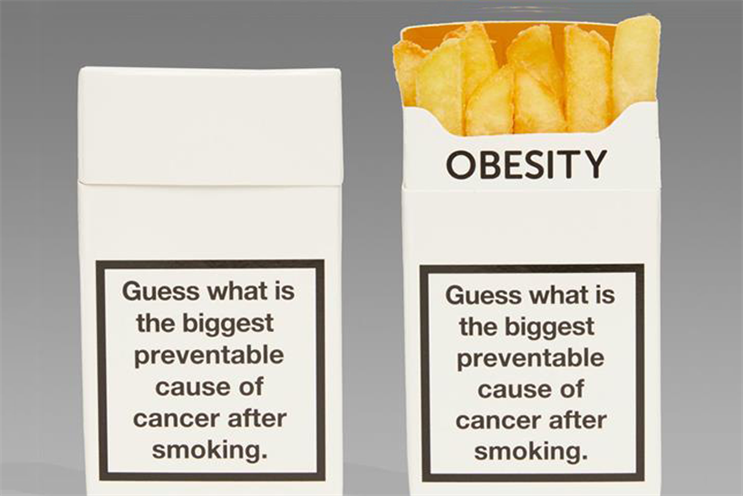 In a statement from the charity, professor Linda Bauld, Cancer Research UK’s prevention expert, said: "The aim of the charity’s campaign is to raise awareness of the fact that obesity is the biggest preventable cause of cancer after smoking. "This is not about fat shaming. It is based on scientific evidence and designed to give important information to the public. Only 15% of people are aware that obesity is a cause of cancer. Cancer Research UK has a duty to put that message in the public domain."